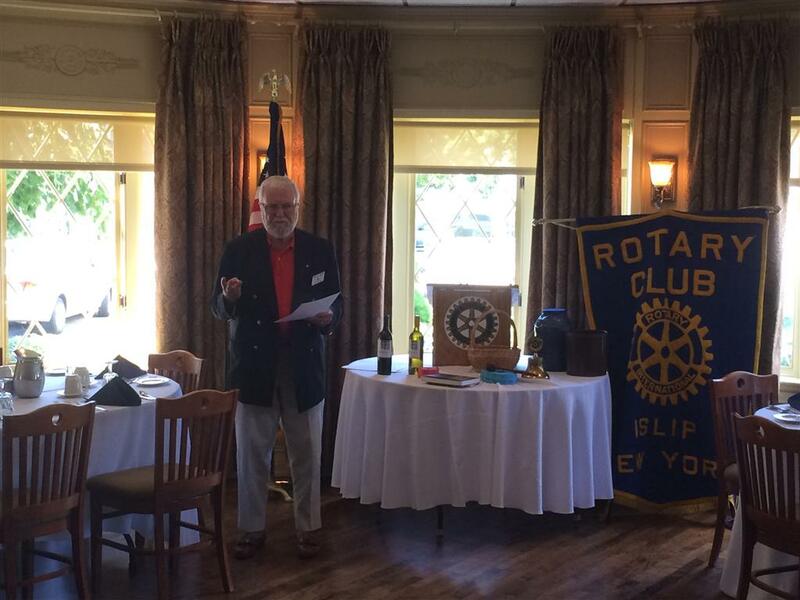 On Thursday July 23, the Rotary Club of Islip was honored with having Rotarian and Past District Governor Russ Moran speak. Russ is an accomplished author of several well-received novels. He spoke today on some of the finer points of writing, as well as using words and grammar correctly!